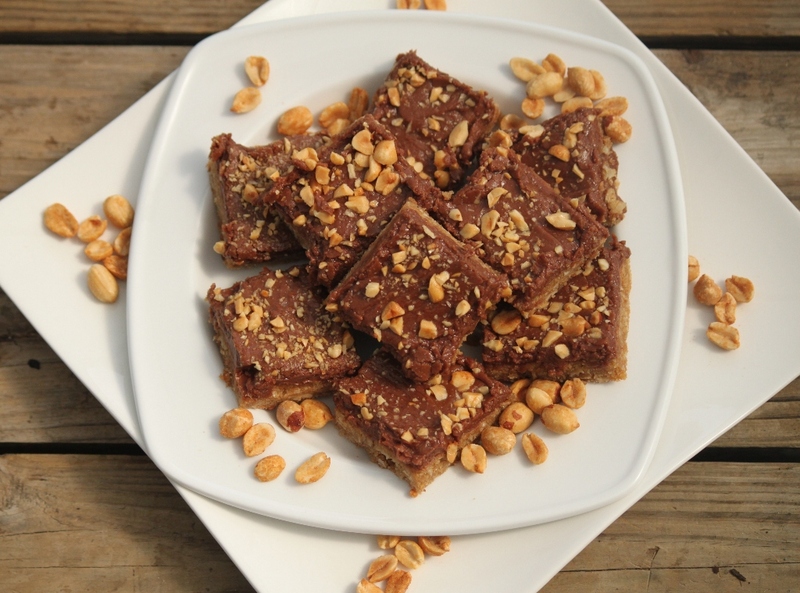 Iced Peanut Butter Squares | Rosetta Bakes! When it comes to peanut butter, I’m crazy about it! So when I was introduced to this recipe via a co-worker named Michelle, I had to have the recipe! I hesitated about asking Michelle because some people do NOT share family recipes; but I thought, what can it hurt, she can only say no. When I asked if I could have the recipe, she didn’t blink an eye, she said sure! 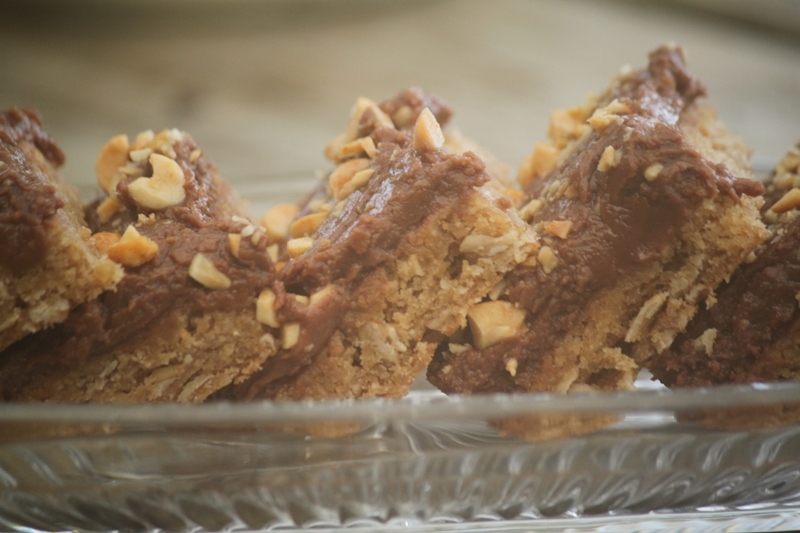 I thought about these peanut butter squares for the next few days until Michelle brought the recipe to me. I was so excited to get the recipe, and excited about making them, but first, I had a few other things to bake for a friend, so I had to wait. I think my first real love for peanut butter began when I was 12 years old when I spent an entire summer with my mother’s best friend Betty, who lived in Indianapolis, Indiana. Most days for lunch we had peanut butter sandwiches and a large glass of Kool-Aid. This is where my love for peanut butter began. I can still taste the sandwich being washed down with a large glass of (usually cherry) Kool-Aid! yummmm for sure! Spread into a greased 15-in. x 10-in. x 1-in. baking pan. Bake at 325° for 18-22 minutes or until lightly browned. For icing, in a microwave, melt chips and peanut butter; stir until smooth. Mix in 3-4 cups confectioner sugar (adding 1 cup at a time) alternating with milk. Stir in 1 teaspoon vanilla. Mix until fluffy. Smooth out on top of bottom till smooth and creamy. Sprinkle on chopped dry roasted peanuts. Cool completely on a wire rack before cutting. Yield: 4 dozen. * If icing is too thick, add more milk, if too thin, add more confectioner sugar. You want it creamy enough to spread, not too thick and not too thin. Thanks to Michelle for giving me the recipe! Thanks to the blog Fahrenheit 350 for posting the recipe she found on Pinterest! And thanks for the original recipe source “Taste of Home” and modified slightly.